Hey, no one ever said that because you use a pre-paid carrier, you can't sport a phablet. Starting on May 13th, Cricket will be offering the LG Stylo 2. This is a handset that features a 5.7-inch display with a resolution of 720 x 1280. That works out to a pixel density of 258 ppi. Under the hood you'll find a Snapdragon 410 SoC with a quad-core 1.2GHz CPU and the Adreno 306 GPU. 1.5GB of RAM is inside along with 16GB of expandable internal storage. The LG Stylo 2 offers a 13MP rear-facing camera, and an 8MP front-facing snapper for selfies and video chats. A 3000mAh battery keeps the lights on, and Android 6.0 is pre-installed. And of course, the device comes with a stylus. The latter can be used to take notes when you don't want to bother with the virtual QWERTY. It also will capture the notes you write without turning the screen on! Cricket will sell you the LG Stylo 2 for $169.99. 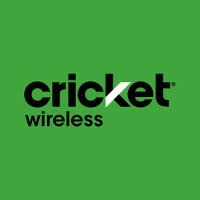 And if you move to Cricket from another carrier and port your current number, you will get a $50 bill credit from Cricket. Take your T-Mobile number with you and you'll receive double that credit. If you've been looking to get your mom to join the legion of smartphone owners, the LG Stylo 2 makes a great Mother's Day gift. i think this is plastic body. With that price tag, what else do you want from it? Does the screen really stick out that much? I don't like that.